Rodney Leer, Brenham Independent School District, USA "ApplianSys products really deliver what they promise; Not to mention the excellent service of the technical support that is always available." 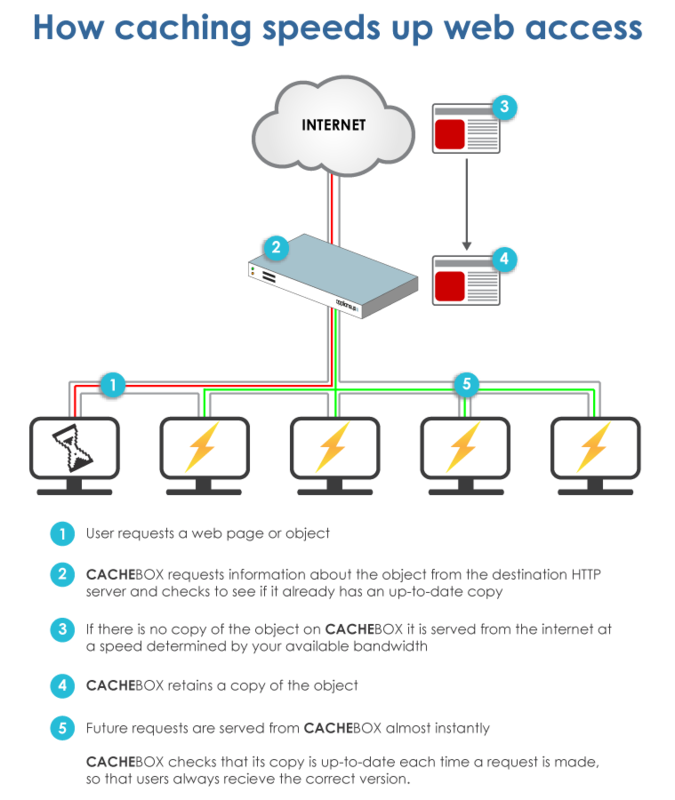 Fixa Internet, Brazil "We couldn't live without CACHEBOX! It saved us bandwidth, the product is rock-solid and the support is phenomenal." ISPs can improve quality of service to gain an edge over the competition and reduce subscriber churn. When one of your users downloads an object and you have a caching solution in your network, a copy of the object is stored locally on the cache. Subsequent requests for the same file can then be served instantly, without re-downloading. 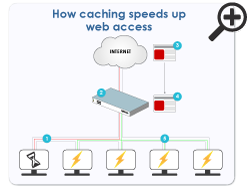 As well as using less bandwidth, this improves response times for your users, making your internet connection faster.